Beaches often come to mind when we think about the most desirable locations on the planet. 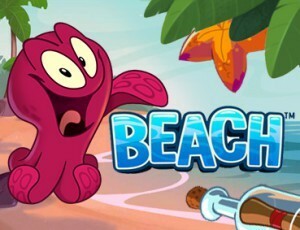 If you want to combine the serene beauty of a calm beach with your love of gaming Beach may be the perfect game for you. 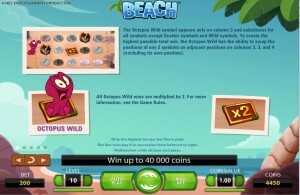 NetEnt has designed this game specifically to entertain the biggest fans of beach going vacations while playing their favorite betting games and online slots. The game is a great way for people to escape without actually having to go to the beach. 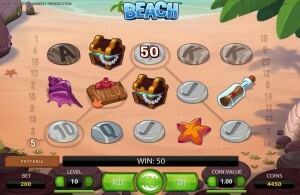 Beach is one of NetEnt’s most popular computerized slot games. It has many different kinds of payouts and betting options to satisfy the needs of any gamer looking to get a big payout at the slots. The name may seem kind of simple but it gets right to the point. The game is pretty aptly described by its simple and straightforward title. It is literally a beach themed online betting game. What the title lacks in originality and style the game surely makes up for. Players take waves and try to match different panels in order to win. Turns are called waves in turn of what are called spins in more traditional slot machines. Each wave will reveal the different panels which are arranged in a 5×3 format. There are 5 reels made up of three tiles each. The game also has a 20-payline experience. It uses the 10 through the Ace card and also different beach themed symbols like starfish, oysters and Wilds. 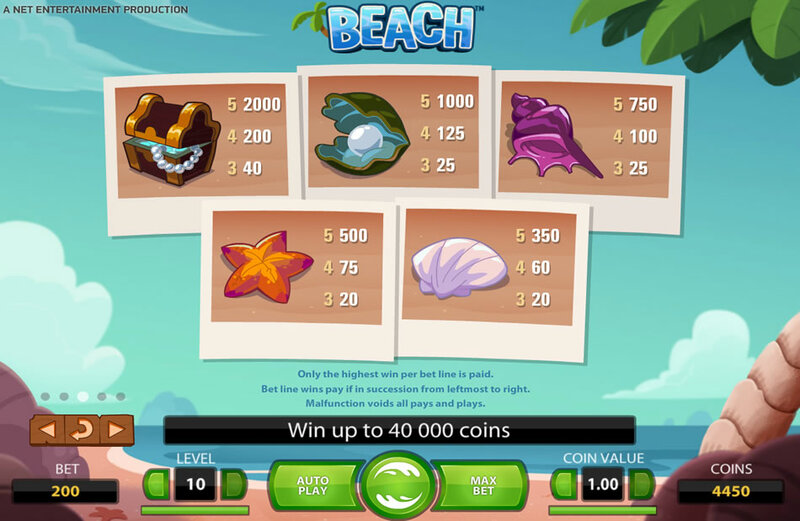 When you play Beach, you will notice one difference that sets this game apart from many other slot machine games on the video gaming market. This game offers its players two wilds. Most games only offer one wild to their players on each spin (or wave in this instance). There is a traditional wild that falls on reels 1,2,4, and 5. It replaces every tile except for the extra wild and the scatter tile. The extra wild appears only on reel 3. It works by reaching its tentacles out to two of our surrounding tiles and swapping them. This gives us one more chance at a payout on each turn that we make. When we play Beach we are sure to get excited every time that we see those purple tentacles reach out and grab our tiles. The scatter was previously mentioned. It appears on the screen as a message in a bottle. If you get three or more of these on the reels you will receive an award. The award is can be up to 24 free waves. It is usually at least free 8 waves though. This is the only tile besides the bonus wild tile that can’t be replaced by a wild. NetEnt is known for having some of the best animation in the business when it comes to electronic slot machines. Their games are slick and smooth to give us the maximum enjoyment when playing the game. They have combined their pleasurable aesthetic with some tweaks on traditional slot machine game play by adding an extra wild to the game. 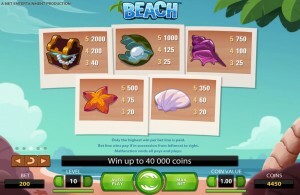 The NetEnt slots creators of Beach have also included ways to win a lot of bonus spins. When we couple this with their huge payouts we realize why Beaches is such a highly rated game amongst video slot machine players around the country. Anyone that is looking for an interesting theme and original game play when it comes to electronic slot machines will enjoy Beach. It is one of the most innovative and stylish games on the market today.